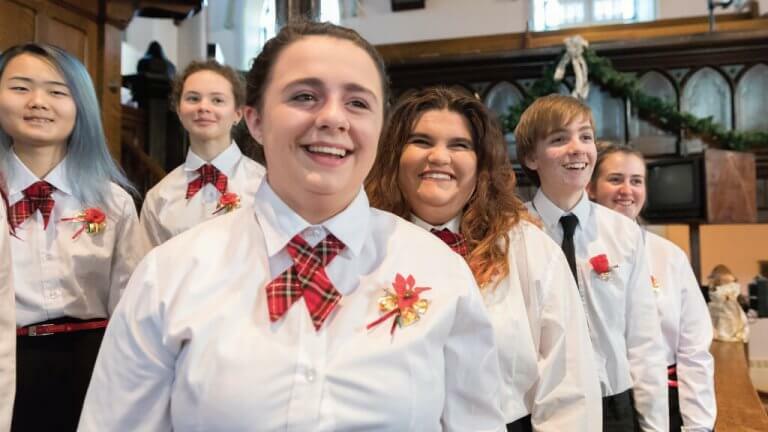 The Confederation Centre Youth Chorus make merry, performing classical and contemporary Christmas carols together alongside guest artist, Charlottetown’s own Joey Kitson. Over the past decade, Kitson has also maintained another career, performing musical theatre at Confederation Centre. He has appeared many times on the storied stage, beginning with a production of Bye, Bye Birdie while still a high school student. His other stage credits include Jesus Christ Superstar, British Invasion, A Matter of Heart, the blockbuster Canada ROCKS! and the timeless Anne Of Green Gables–The Musical™.